Dentist, husband, father, veteran, and aviation hobbyist. From Paisley, Oregon (population 435) to the Pacific Northwest, Dr. Michael Scoles’ life and career have taken a nontraditional route in more ways than one. At age 17, Dr. Scoles’ ambition was to become an aeronautical engineer. But after he got to hold the mirror during his wisdom teeth extraction, his fascination turned to the mechanics of dentistry. His passion for building things, however, remained strong. Dr. Scoles attended Oregon State University as an undergraduate and obtained his dental degree from Temple University in Philadelphia. After dental school, he served in the US Navy for three years. While in the Navy, Dr. Scoles received advanced training in Oral Surgery, Endodontics and Prosthodontics at the Naval Submarine Base, Bangor in Silverdale, Washington. This additional training enables Dr. Scoles to perform a wider array of procedures in the practice, procedures that would normally have to be referred to a specialist. Dr. Scoles is a master trainer for CEREC technology. A technique that allows dentists to make crowns in a single office visit. He enjoys teaching other dentists and sharing his knowledge. He also lectures around the country on behalf of one of the leading dental product manufacturers teaching dentists about the newest materials available. After fulfilling his military obligation, he returned to the Pacific Northwest and has practiced here for the past fifteen years at his offices in Renton and Issaquah. Dr. Scoles and his wife Laylia have two boys Kai and Jace. Besides spending time with his family, he enjoys kiteboarding and building large scale model airplanes. In addition to treating patients, Dr. Scoles enjoys educating other dentists. He’s become a sought-out speaker, lecturing across the country on topics such as guided implant surgery and dental restorative materials. Dr. Sanaa Beguwala received her Doctor of Dental Surgery degree from the University of Southern California. During her time there, she mentored first-year dental students and spent numerous weekends volunteering dental services at orphanages and churches in Ensenada, Mexico. 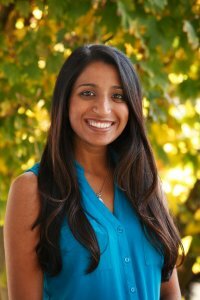 Following Dental School, Dr. Sanaa completed a General Practice Residency at the University of Utah Hospital. While there, she not only received advanced training in implant placement, endodontics and oral surgery, but she also worked closely with medically compromised and intellectually disabled patients. Dr. Sanaa’s passion for dentistry shows through in her knowledge of the latest topics and technology in dentistry and her degrees in Neuroscience and Psychology help her work with patients from all facets of life. She believes that each patient should have an understanding of their dental health and a clear path to achieve it, while being treated with honesty, compassion and respect. Outside of dentistry, she enjoys spending time with family and friends and, crossing things off her bucket list, with her high school sweetheart and husband, Abid. Dr. Primrose and his wife grew up in Issaquah, WA but now live in North Bend, WA. After high school Dr. Primrose took off for adventure in Colorado where he studied Biology, Chemistry and Physics at the University of Denver. 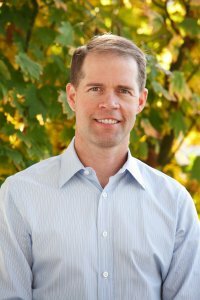 Dr. Primrose returned home and received his DDS from the University of Washington in 2017. During his time at UW he was an active mentor for undergraduate students interested in professional school. He also volunteered his time in underserved communities around Seattle through community outreach programs at the dental school. After graduation, Dr. Primrose completed the prestigious General Practice Residency at the Puget Sound VA Hospital. For 12 months he worked closely with specialists and focused his training on dental surgery and comprehensive restorative dentistry. Outside of dentistry you can find Dr. Primrose spending time with his family skiing at Alpental and biking around the Snoqualmie Valley!